SWEET LOU’S RHYTHM & BLUES TRIO APPEARING NEXT:We are in our new studio (same building, better suite!) for January and Febuary, working on new material. Check back for our Spring ’11 schedule! 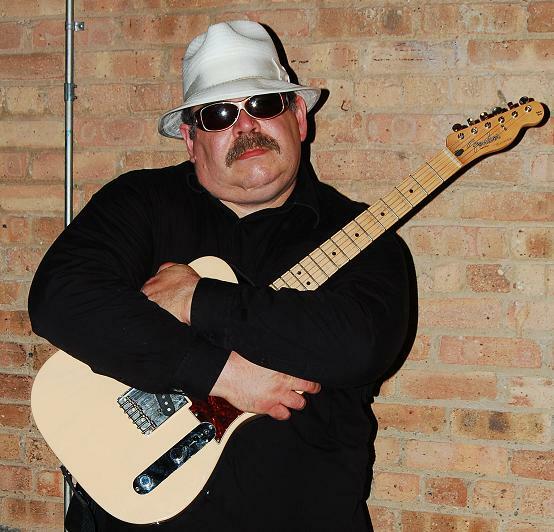 Sweet Lou’s Rhythm and Blues Band is an authentic Chicago-style electric blues trio which features the amazing guitar and vocals of Sweet Lou plus the incredible keyboards and vocal stylings of Greg Winston along with the drumming of the incomparable Del Hooks III. Together, we play both old-school and new blues as well as the best danceable rhythm and blues from the 1960s and 1970’s. While the core of our band is Sweet Lou’s Rhythm and Blues Trio, our group can be expanded to six or ten pieces depending on the needs of the promoter and size of the stage. This “festival group” features six vocalists and a horn section playing the best danceable rhythm and blues from the 1960s and 1970’s as well as some of the best Chicago-style blues around. The recipe for our music is one part Sixties R&B, one part jumpin’ Blues, mixed together with a Hard-rock edge and a pinch of Pop sheen. This is the music currently playing. Perfect for large company parties, civic / municipal events and festivals, high school and college reunions, fund-raisers, and any large gathering where a soulful sound and bumpin’ beat would complete your event plan. To download our nine piece demo, click here —> fourthtrailer.mp3 See the other sections of this site to learn more about the band, its members, and the music we play. You are currently browsing the SweetLou blog archives for November, 2008.